Adiantum pedatum is a very delicate and airy looking fern with fan shaped fronds on striking black stems. It has a very unique growth habits spreading its fronds in a perfect circle. It spreads slowly over time to form large colonies. This plant is a native of moist woodlands in eastern North America. It adds a different texture to woodland plantings. Maidenhair Ferns combine well with Asarum europeaum and larger leaved shade perennials. 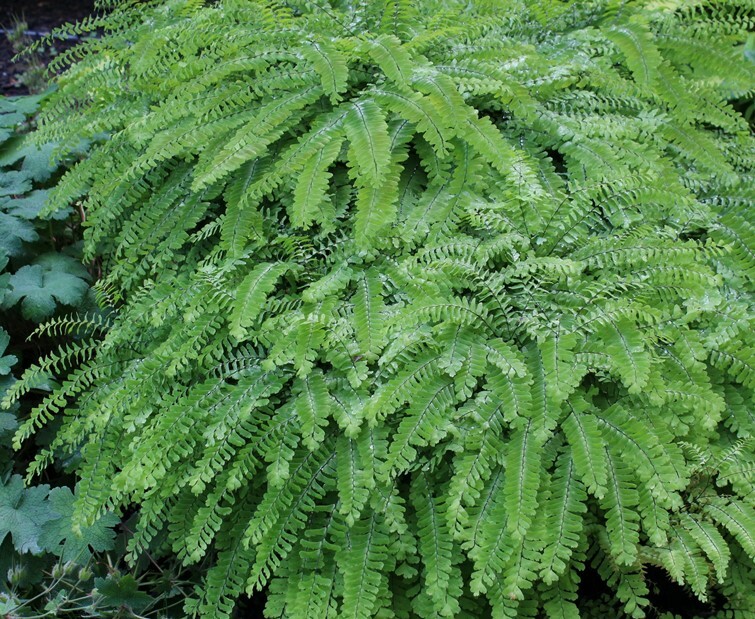 This fern prefers rich, well drained acidic soil in part to full shade. It needs consistent moisture or the fronds will dry out. A year around organic mulch is recommended to conserve soil moisture and add organic content to the soil.